As Barcelona slumped to a shock La Liga defeat against minnows Leganes last week, the question marks hovering Ernesto Valverde and his Spanish champions were thrust into focus. While Barcelona’s star names were quick to bemoan the quality of the Estadio Municipal de Butarque pitch as they slumped to one of their most surprising league defeats in recent years, many would argue their fall from grace was all-too predictable. Little Leganes would not have been selected as the first location for a Barcelona defeat this season, but this has been stuttering start to the campaign for Spanish champions struggling to move out of first gear. A VAR decision helped Barca to a fortunate win at newly promoted Valladollid last month while they hammered the minnows of Huesca 8-2, back-to-back home draws against Girona and an out-of-form Athletic Bilbao highlighted some unfamiliar uncertainty in their mindset. Lionel Messi and Luis Suarez have been among the goals, but the flowing brilliance associated with the pass masters of Spanish football has been absent in the opening weeks of the campaign and Valverde concedes his side may be suffering from a post-World Cup hangover. “I’m a little worried, but only a very little,” declares Valverde, ahead of Wednesday night’s Champions League game against Tottenham. A 4-0 win in their opening Champions League game against PSV Eindhoven allows Barca some wiggle room as they prepare to take on a Spurs side who were lost their opening game the competition against Inter Milan, with Valverde viewing Mauricio Pochettino’s side as a huge threat at their temporary Wembley home. “It’s possibly the most difficult we could have had and that is why it was so important to start with a win,” states Barca boss, who faces a shuffle in his defence as his French World Cup winner Samuel Umtiti is suspended for the trip to London. “Every game is a test, there is no rest-bite. All four teams have a great history and will believe they can go through to the next phase, with Tottenham a team on the up in European football in the last few years. Valverde among those backing his talisman Messi to answer his doubters after he failed to feature in the FIFA Best awards last week that crowned Luka Modric as the best player in the world. “We can all have our own opinion about these awards, but how can they call this prize The Best when the best is not there,” questioned Valverde. 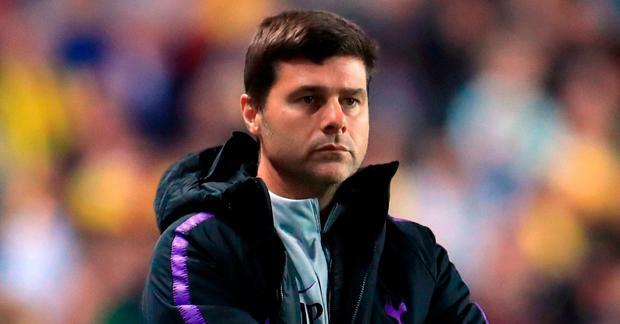 Tottenham will look to draw inspiration from their memorable Wembley win against Barcelona’s great rivals Real Madrid in last season’s Champions League ahead of this game, with Pochettino’s side in need of a lift after a turbulent start to their season. The 3-0 win against Manchester United at Old Trafford last month was quickly forgotten after a hat-trick of defeats that included their 2-1 loss against Inter Milan in their opening Champions League game, with concerns over the form of talisman Harry Kane enduring for too long now. With defender Jan Vertonghen and the midfield trio of Dele Alli, Christian Eriksen all out injured for Spurs, Pochettino has encouraged his back-up players to rise to the challenge against Barcelona, as he refuses to panic after a defeat against Inter Milan opened Tottenham's Champions League campaign last month. “If you saw the game in Italy against Inter, you will see we were the best team and in the end, we lost due to some small dials in the final five minutes,” states the Argentine tactician.